Here is one of my earliest art-works out of duct tape. 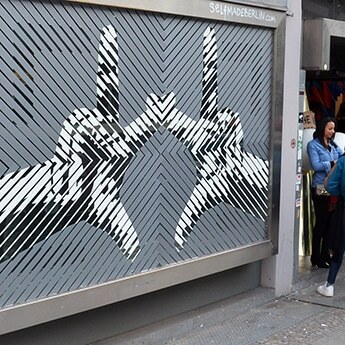 This piece of tape art appears to be simple, but it took a little time and patience. I used here the duct tape weaving technique. 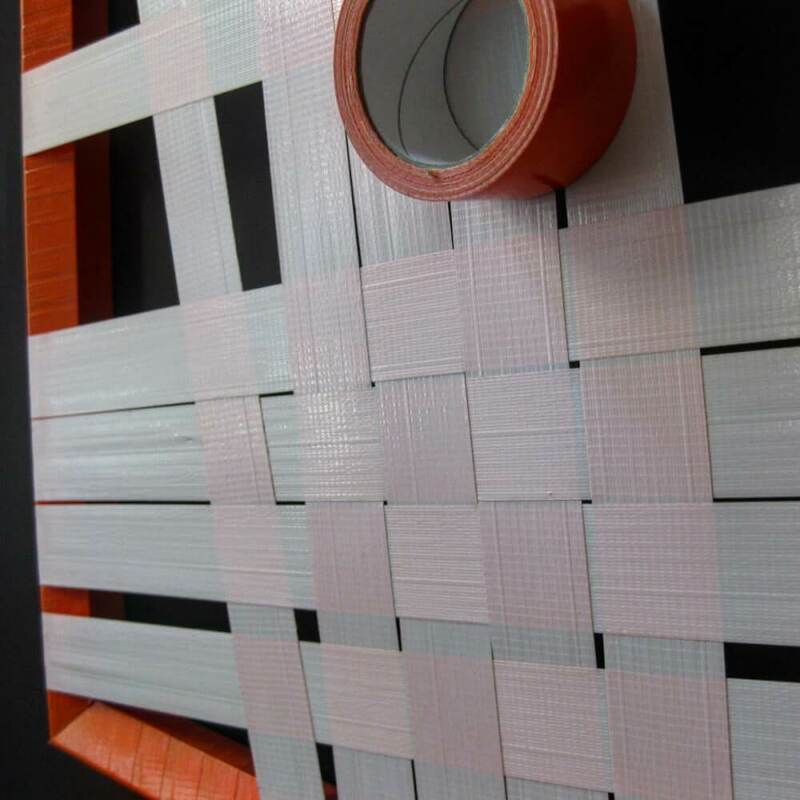 That is carried out simultaneously with two or more adhesive tapes and woven with another like a carpet of tape. Later, I often used this tape kind of trick. 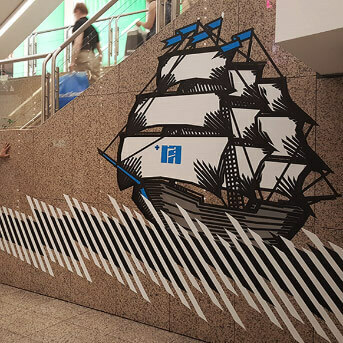 In this tape art installation, it goes so well with a message, and to art. 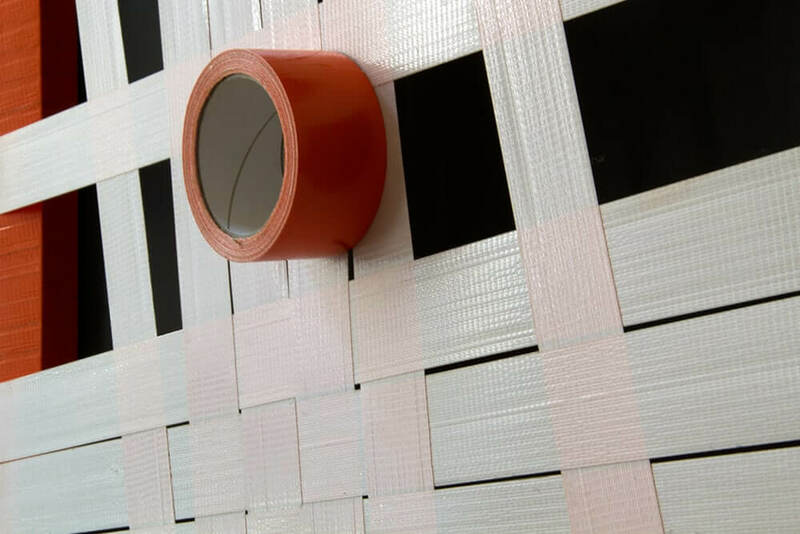 “Orange” – is also interesting because the tape is reversed with the adhesive side to the top. The meaning just the Braided serves as a basis for holding together the whole composition. 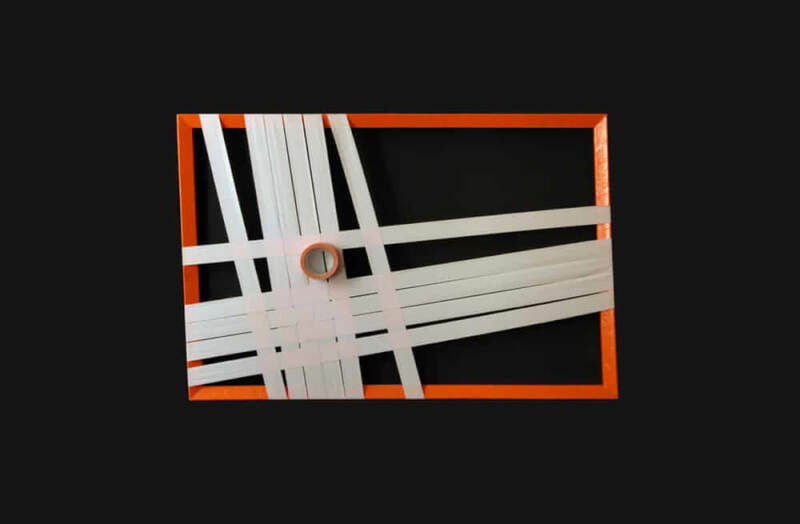 Only where the strips cross, the parts of the tape artwork are connected to each other. And that gave me as an artist the opportunity to adhesive waves the massive orange tape roll, despite his weight to place.